For a traveler like me they need a tablet that does everything effortlessly – the Huawei MediaPad M5 does just that. Huawei Media pad M5, Built for Entertainment. The 2k ClariVu Display and Harman Kardon tuned speakers allows you to immerse yourself in all your entertainment wants. The M5’s robust performance is fueled by a Kirin 960 Processor, excellent for gaming. With a long lasting battery and Quick Charge capability, enjoy hours of your favorite entertainment. The sleek design and thin unit-body, allow you to take the M5 anywhere – work, home or play. 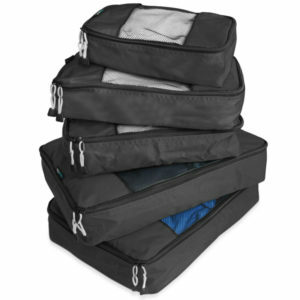 Simplify the packing process and arrive organized with this set of 5 durable packing cubes, an essential travel accessory for streamlining packing, keeping track of items, and maximizing luggage space. Made from minimally treated, vegetable-tanned leather from one of America’s oldest tanneries. 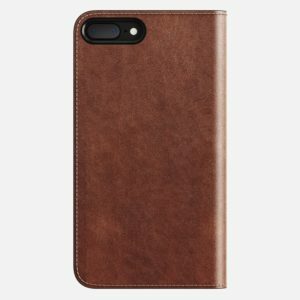 Designed to beautifully patina with time, creating a handsome, rich leather case with a look that is uniquely yours. Holds 3-6 credit cards and folded cash. Designed to replace your minimalist wallet and carry one less object. 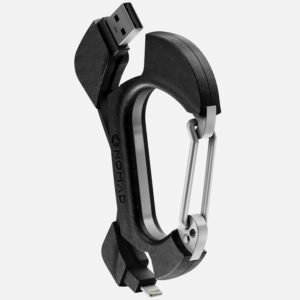 Carbon Carabiner is an ultra portable charging cable that doubles as a functional carabiner. Clip it on your bag or attach it to your keychain and always have a backup Lightning cable. 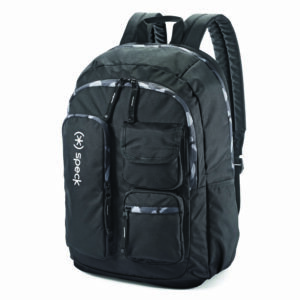 Built with a carbon composite, this cable is designed for both emergencies and the minimalist traveler.